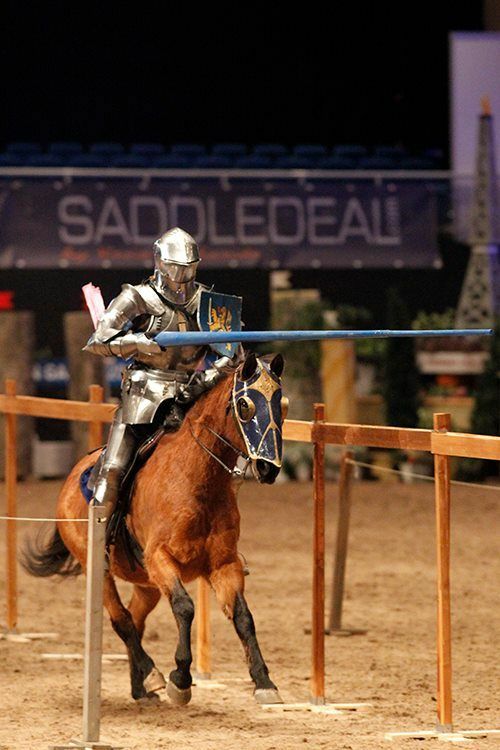 The Jousting Life: Scandinavians Joust It Out at Norway's Biggest Equestrian Event! 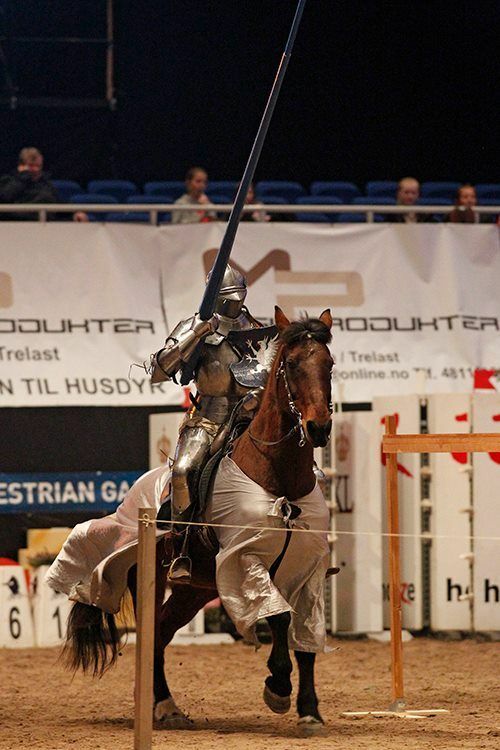 Scandinavians Joust It Out at Norway's Biggest Equestrian Event! Today's guest writers, Petter Ellingsen and One Enerud, are the founders of Ridderhest, a Norwegian jousting troupe. 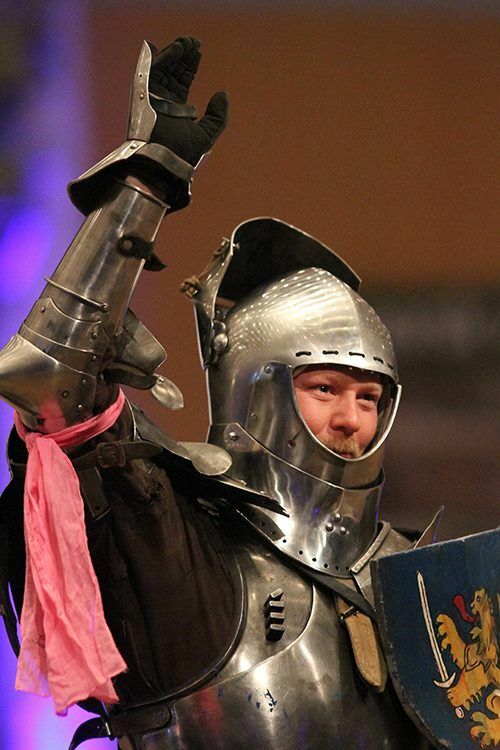 Petter Ellingsen has over ten years of experience as a competitive jouster and has participated in tournaments in eleven countries. One Enerud has over twenty years of experience with horses and has organized a number of major competitions. 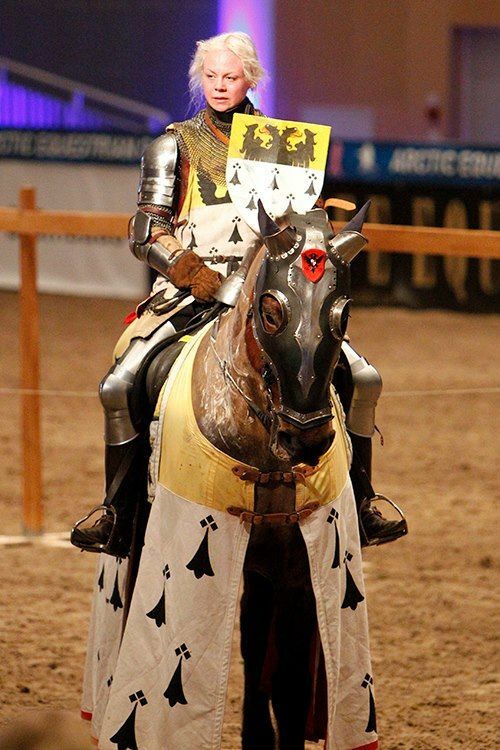 On the 23rd And 24th of February, 2013, Ridderhest hosted a jousting competition at the Arctic Equestrian Games(AEG) in Norway. The task of putting on a competition was given to us only 3 weeks prior to the event. The challenge was to pick a format that would please a crowd of horse people as they tend to look at more than just the armour and lance hits. We also were restricted by a time limit of 20 minutes with a 10 minute setup time for the lyst field. 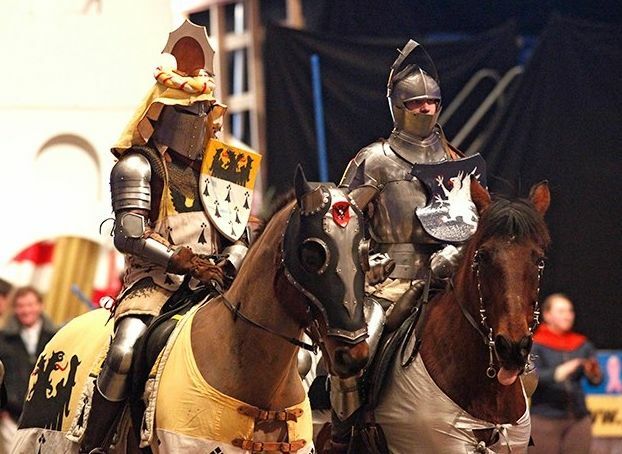 We wanted to make it an international competition and found that the best and easiest option would be to invite two jousters from our neighboring countries of Sweden and Denmark, and have a Scandinavian joust-off. Petter challenged Joakim Løvgren from Denmark and Caroline Egemalm from Sweden, both of whom gladly accepted the challenge. We transported Caroline, her horse Lindens Martell, and her squire Lotta from Uppsala, and flew in Joakim from Copenhagen. Joakim was loaned one of our horses, Mamora, to ride. AEG 2013 was held at the Oslofjord Convention Centre which is located close to Tønsberg just south of Oslo. It had a good indoor setup with a 30m by 70m arena, so we had plenty of room for 40m tilt rail. We were given two of the over 100 apartments attached to the convention center so we had the luxury of showers, warm beds and kitchens with electricity. The joust was run as a round robin with three passes in each match. One point was scored for an attaint and three points scored for a break. The first day we were scheduled in between some of the Grand Prix jumping competitions. There was a crowd of around 2000 watching. We started off with the riders entering the arena to “We Will Rock You” by Queen. The crowd seemed a little quiet at first, but were urged on by the Herald and ground crew and soon the familiar clapping was present. The joust started with Caroline and Joakim. Some startup nerves were present, but encouraged by the AC/DC music coming from the speakers, some good breaks were made. Petter vs. Caroline followed. Petter, who rode with a pink ribbon around his arm to show his support for the Norwegian dressage involvement in the fight against breastcancer, needs to learn to check his girth and not lean into his hits, because the first run made him eat dirt at the end of the lyst. But after some adjustments two more passes were run with good breaks. Last off saw some really good breaks by both Joakim and Petter, Including a solid base break from Joakim. The score after day one was Petter - 13, Joakim - 12 and Caroline - 11. The second day we were part of an entertainment segment of the event. The crowd turnout was around 1700, but much more lively, so the ride in was much more enjoyable. Joakim and Caroline started out again, cheered on by the crowd and producing some good hits on each other. Next followed some decent hits with Joakim and Petter. The last match between Caroline and Petter started off well with a double lance break, but on the second pass Petter's horse, Omas Linette, shied out and caught on the countertilt. She stopped and was released without any trouble. After that though, she did not want to go again. Petter walked his horse to the middle of the tilt and offered to allow Caroline to hit him so she could score the points from a third pass. Sadly there was a mis-communication with the ground crew, and Caroline went without a lance and was automatically awarded points for a hit. The herald explained the notion and it was well received by the audience. The scoring was announced and the riders did laps of honor accompanied by the song “We Are the Champions”. Overall the tournament was a success and will open doors for larger competitions at similar events in the future. The hope for next time is to be able to do a club melee as well as the joust. A mounted skill at arms course would also interesting, but time is the key restricting factor at these events. Next time we hope to broaden the invitations to joust to those outside of Scandinavia. Ridderhest would like to give a huge thanks to AEG and our crew who all made this possible to achieve in such a short amount of time. 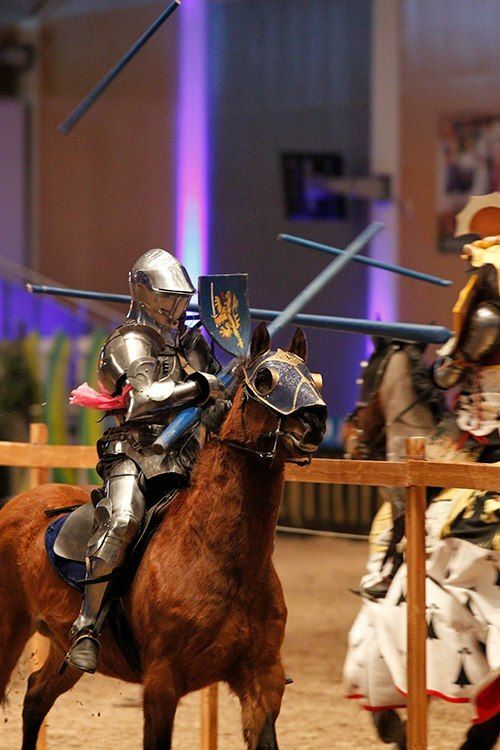 Jousting is a manly game. It's good to see that the Scandinavian countries still have this sport event held. It should infact be promoted even more with donations from international level.